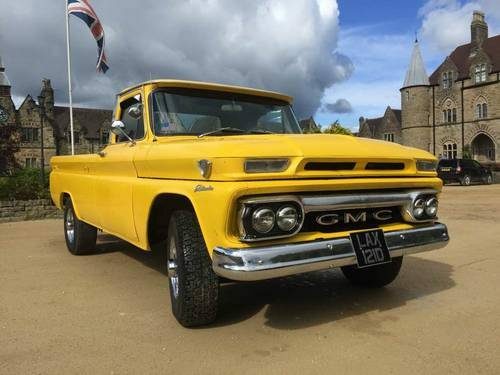 For Sale – 1966 GMC C20 5.7 350cu V8 American Pickup | Classic Cars HQ. 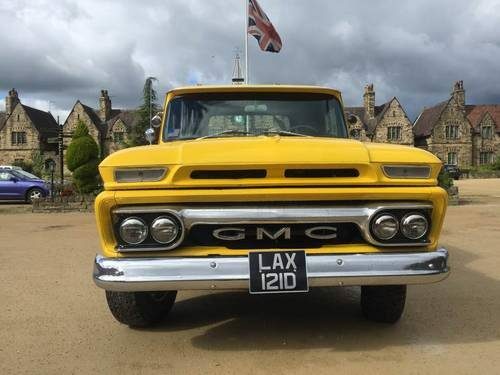 For sale is my 1966 GMC C20. It's the Heavy Duty Version with 8-Stud Axles. 5.7 350cu Chevrolet Small-Block V8 Engine. TH400 Automatic Gearbox with B&M Shifter. 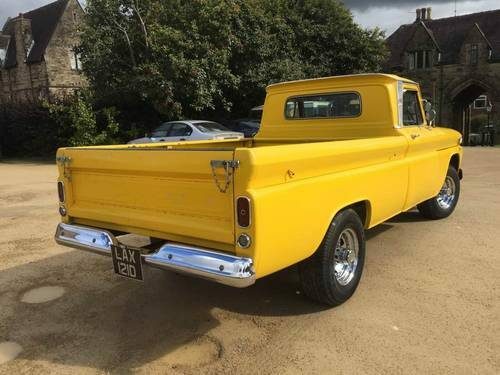 Very Solid Truck with good bodywork, though there is the odd small blemish here and there, It will require painting to make perfect. Good Interior, All gauges work accurately. Pioneer Stereo with Sony Speakers. MoT Till 22nd May 2018.Tax Exempt. Ready to Use and Enjoy.